Last year I bought an iPad and decided I should try to utilize it in my work to (hopefully) save time and try something new. Old dog, new tricks. So far it has been equal parts frustrating, fun, and frustrating. 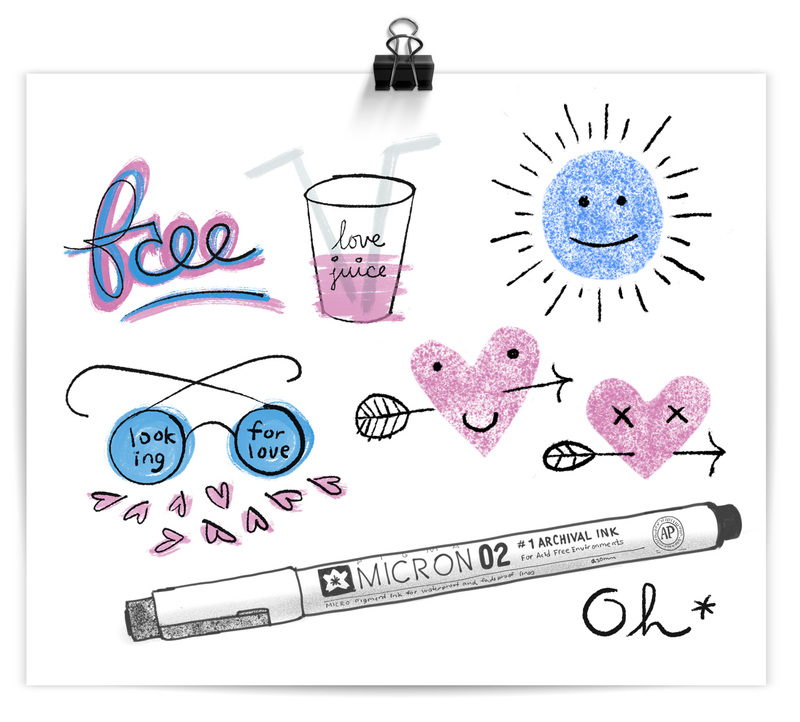 Yes, frustrating is two of those parts – one for the technology part and the other for having to retrain yourself how to draw when you’ve been used to a Micron pen and Office Depot laser paper for the last 7 years. So far it has been most useful for creating the sketch phase of work in a fidelity that is higher than sketching on paper, but I haven’t been able to transfer any tasks I do 1-to-1 yet. 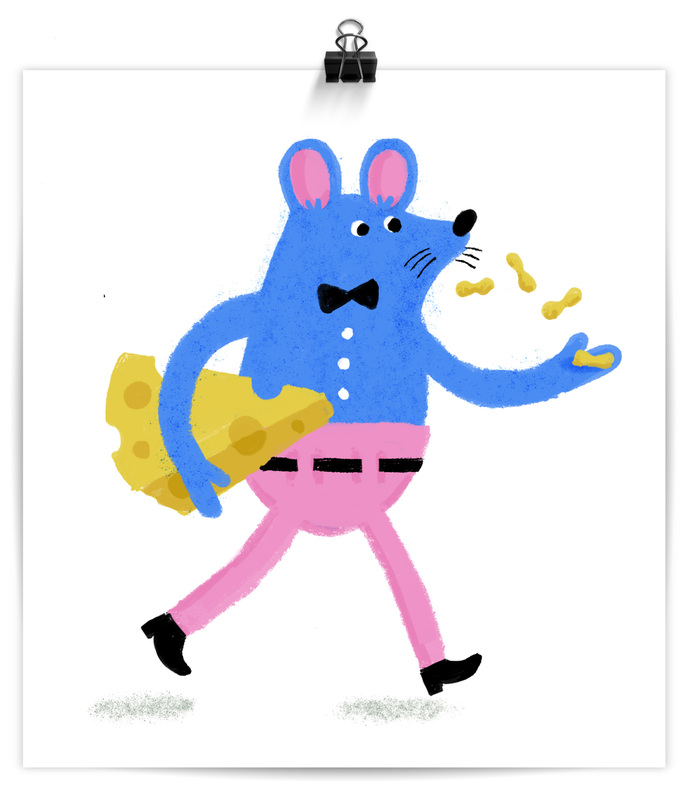 Here are some of my more successful practice drawings, including a blue mouse in pink pants popping unshelled peanuts. Strangely, the VERY FIRST thing I drew on the iPad was my Micron pen. 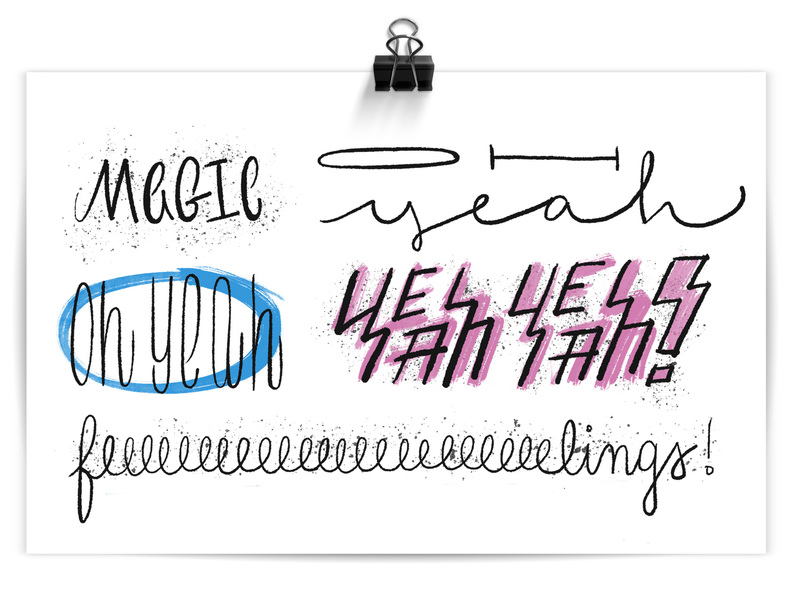 The spatter brush is very addicting so I hope for a resurgence in 80s graffiti style so I can use it in excess. Also, whatever party this mouse is headed to, I want an invite. Look how confident he is in his high rise pants and low rise belt combination. This is a mouse with panache! In summation: magic oh yeah, oh yeah, YEAH YEAH, feeeeeelings. I feel the beginnings of a catchy millennial pop song coming on…now only if my iPad could teach me how to play the guitar, I’ll be set!